On Monday 30 October 2017, a ribbon was cut to officially open the £27.1 million Anchorsholme Coast Protection Scheme. The scheme is designed to reduce flood risk to 4,800 properties in Blackpool. 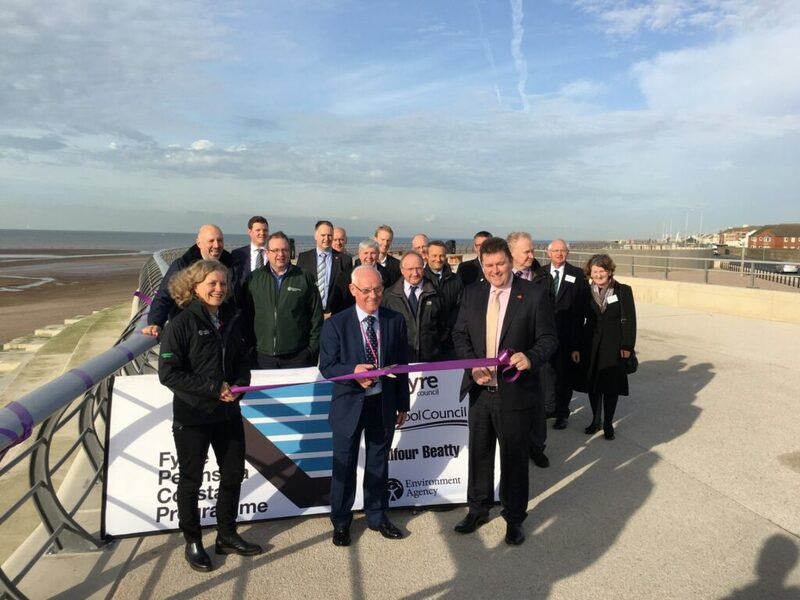 It was officially opened by Blackpool Council Cabinet Member for Environmental Services, Councillor Fred Jackson, with the Chair of the Environment Agency, Emma Howard Boyd. The new defence at Anchorsholme safeguards Blackpool’s iconic seafront tramway, and helps to protect vital infrastructure and a major pumping station. A kilometre of concrete seawall has been replaced. 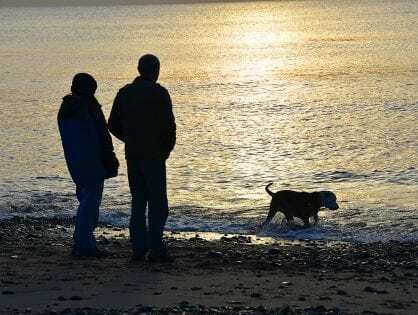 It’s maintained access to the beach, and created a new promenade which attracts residents and visitors with the amazing views over the Irish Sea. The new defences will help protect Blackpool’s tourism and recreational income for the next 100 years. 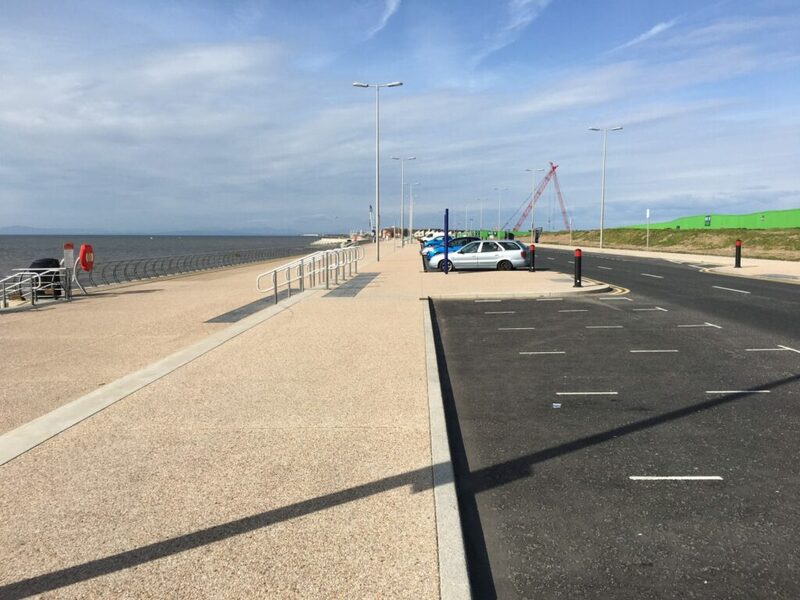 The promenade also links the seafront to the nearby Anchorsholme Park, which will be redeveloped once £100m of works currently being carried out by United Utilities to improve bathing waters are completed. Floods Minister Thérèse Coffey said: “The new sea wall at Anchorsholme was made possible thanks not only to £20 million of government funding, but also the huge support of local government and other partners. 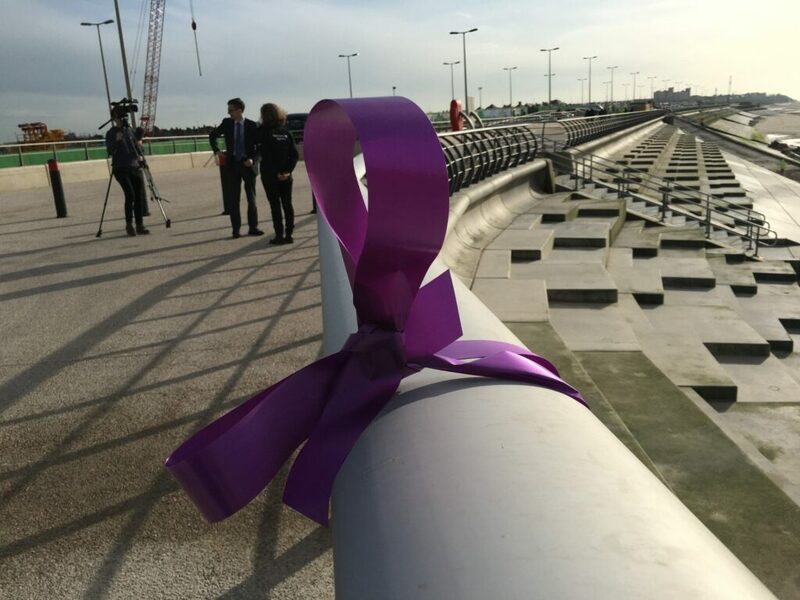 Dean Banks, Balfour Beatty Managing Director for UK Construction Services, said: “The completion of the Anchorsholme flood defence scheme will provide benefits to the Blackpool community now and for years to come. 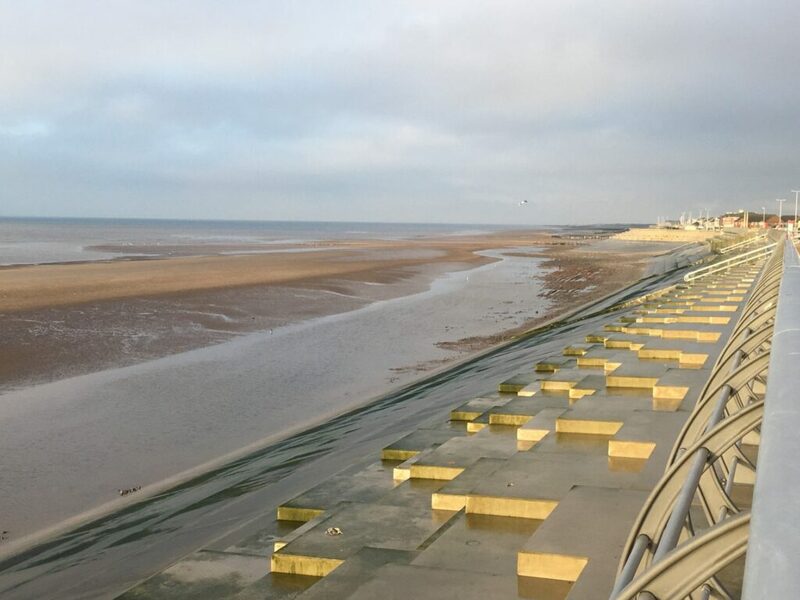 “Our experience and flood prevention capabilities have enabled us to successfully deliver multiple schemes for customers such as the Environment Agency and Blackpool Council, reducing the risk of flooding to thousands of properties and businesses. 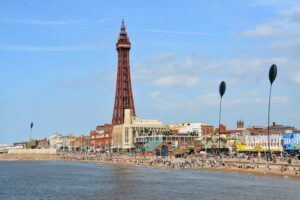 The Blackpool Council scheme has been funded by the Environment Agency through government grant aid and delivered by contractors Balfour Beatty. 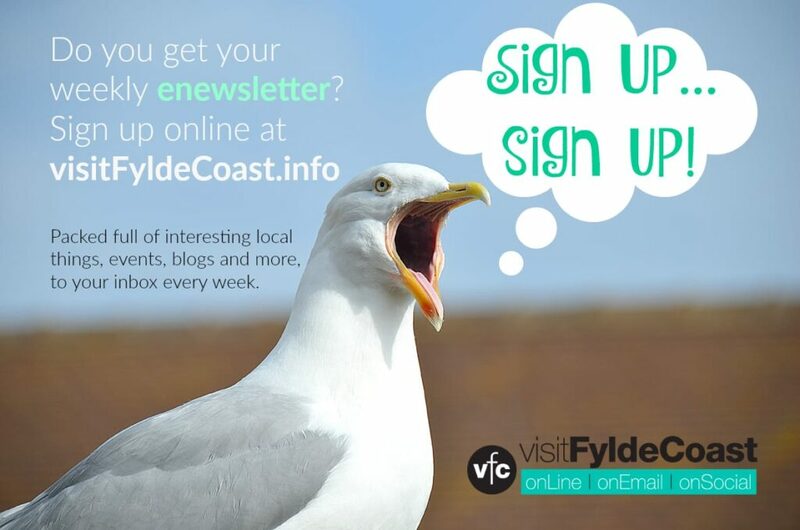 The scheme forms part of the Fylde Peninsula Coastal Programme. This is a partnership between Wyre, Blackpool and Fylde councils and the Environment Agency to reduce flood risk to people and develop historic and natural environments. Anchorsholme, together with the Rossall sea defence project, forms one of the largest coastal defence projects in the country. The new promenade, along with Princes Way, reopened to the public on Monday 14 November 2016. Around 4,800 properties will benefit from better flood protection and a brand new promenade, as works on Anchorsholme Coast Protection Scheme comes close to completion. The two and a half year construction programme has seen a brand new 1km seawall replace the old crumbling structure, while a newly elevated road and better access to the nearby park have also been installed. The new £27m sea defence will provide better flood protection to thousands of nearby properties, in an area which has been prone to flooding as recently as 2013. 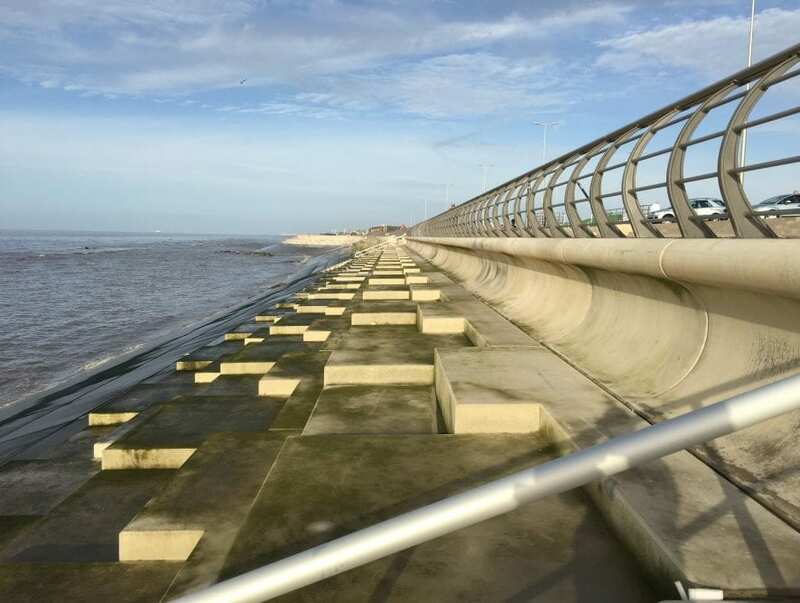 The previous flood defences, which were originally constructed back in the 1930s, were secured and built over, with approximately 2,500 pre-cast concrete revetment slabs, wave breaker units and wave walls, as well as in the region of 3,000 tonnes of steel, which provide the primary flood protection from Little Bispham to Anchorsholme. In addition, precast wall and step units provide the rear defences to achieve the required level of flood protection for the surrounding community. Memorial plaques from the old seawall have been returned to the new promenade, while pay and display parking has been introduced to the road after concerns from residents about overnight parking by motorhomes on Princes Way. In total, over 160 workers were employed as part of the construction process, with coastal construction experts joined by dozens of local apprentices from across the Fylde coast. Princes Way, which used to flood regularly during bad weather and high tides, has also been raised to the same level as Anchorsholme Park, meaning that it is less likely to flood, while providing better access between the Promenade and the park. Drive along the promenade road from the end of Victoria Road West at Cleveleys, along South Promenade at Cleveleys to the boundary with Blackpool at Kingsway, onto Princes Way. On your left you can see the new sea defence works, then arrive at Anchorsholme Park where the road is closed for ongoing construction works. You can also see Anchorsholme Park fenced off for separate works by United Utilities, who are building a wastewater/sewage storage tank. Defra and the Environment Agency have formally approved £86 million of funding and given the green light for work to start on a series of major new coastal defences at Anchorsholme and Rossall, one of the largest flood defence programmes in the UK. 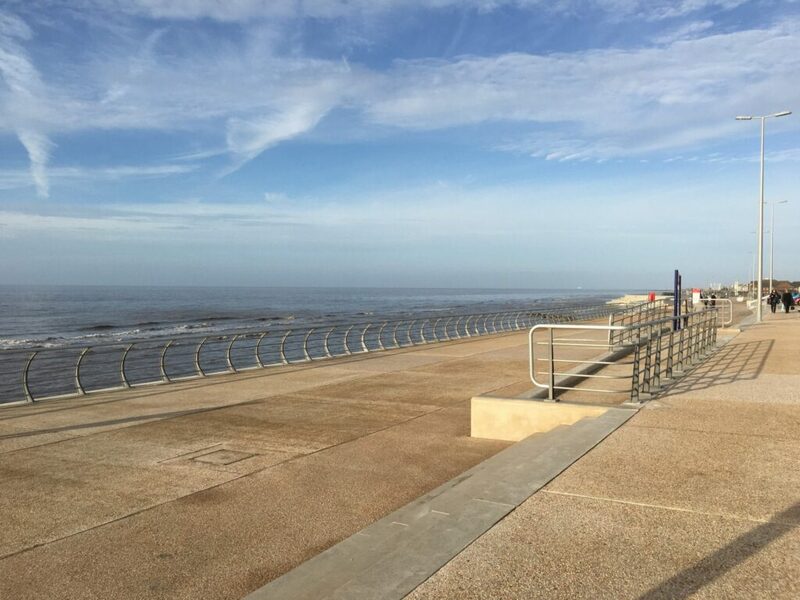 Blackpool and Wyre Councils are working in partnership to improve and replace sea defences between Rossall Hospital and Rossall Point and from Kingsway to Little Bispham at Anchorsholme, protecting 12,000 properties from the risk of coastal flooding. Councillor Derek Antrobus, Chair of the Regional Flood and Coastal Committee, said: “We are committed to reducing the risk of flooding to as many homes and businesses in the North West as possible with the money available. The Fylde Peninsula Coastal Programme has secured £86m of funding from the Department for Environment, Food and Rural Affairs (DEFRA) – £64m for Rossall and £22m for Anchorsholme. A £17m project for Fairhaven Lake and Church Scar is currently underway. The Anchorsholme area is at the northern boundary of Blackpool where it meets Cleveleys and their new award winning sea defences. It’s also where major flooding also occurred in 1927 and 1977. Flooding to the promenade, highway and tramway occurs regularly during storms when waves over-top the existing sea defences, resulting in temporary road closures. A United Utilities pumping station forms part of the sea wall at Anchorsholme, which means Anchorsholme and parts of Rossall are also at risk of sewerage flooding. The sea defences at Anchorsholme serve as a barrier for 4,500 residential properties sitting in a low basin of land. Integrated into the defences is also a large, critical pumping station. If the seawall was compromised, as well as flooding of the properties, loss of the pumping station would have a devastating effect on regional bathing water quality. Being less exposed than Rossall, the optimised solution here is to replace the existing concrete seawall, which dates back to the 1930s, with a new concrete seawall and at the same time raise the promenade to stop the highway flooding several times a year. Closure of the highway to traffic due to flooding causes disruption and members of the public are drawn to the spectacle of the waves overtopping, which presents a serious risk of people being swept into the sea. Work is due to start on Rossall and Anchorsholme schemes in winter 2013/14 and be completed in 2016/17. The funding coming to the Fylde Coast is part of a total pot of £2.3bn around the UK, funding construction on 93 new flood defences which will provide protection for 64,000 homes around the UK. The Rossall Scheme, which alone will protect over 7,000 homes, is the largest funding pot at £80m, plus the £28.4m heading to Anchorsholme. One in six homes in England is at risk of flooding, according to the Environment Agency. Environment minister Richard Benyon said the schemes announced on Thursday were those going ahead in the next financial year, and that more would follow in the future – possibly including areas hit by flooding before last Christmas. 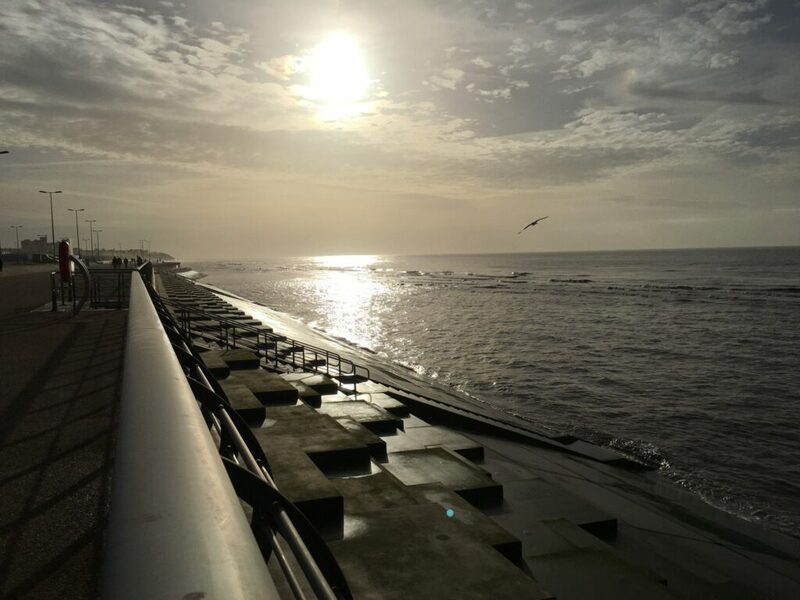 The ingenuity and flair of designers and engineers has given us a superb promenade and public space at Blackpool that is a space to be proud of, while protecting properties and businesses from flooding. The highly successful Cleveleys scheme finishes at the Blackpool boundary at Kingsway, where the promenade at Anchorsholme continues as Princes Way. Blackpool’s engineers have determined that the sea wall on Princes Way is in a progressive mode of failure, with the deterioration clear for all to see. Many homes in the area suffered in the floods of 1977 and today, during high tides and strong winds, the sea comes over the wall and the flooded road is closed for safety. The funding for Anchorsholme will protect a vulnerable area and 4,960 properties from the risk of flooding, with the reconstruction of 1km of defences from the boundary with Cleveleys at Kingsway to Little Bispham. The design will be a continuation of the style at Cleveleys and Blackpool, with Spanish Steps and flowing lines. The approved strategy was put to the Environment Agency National Project Board in December 2011. A Business Case was then put together and submitted back to the same board in Feb/March 2012.  Local residents were asked to show their backing for the Shoreline Strategy Plan, so that a formal grant application could be made in February 2013, upon which the positive decision was made to grant funding. Birse Coastal (to become Balfour Beatty) secured the contract against tenders which went out for the contract in early 2012. 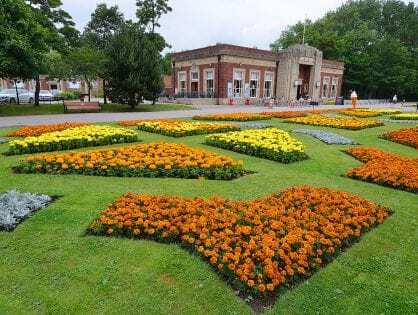 Blackpool and Wyre Council have worked together to draw down the funds and manage the project as one team, to deliver better value for money by combining the contracts and make better use of expertise and resources.